Canine liver failure occurs when 80 percent of the dog’s liver cells die, which can be caused by a number of diseases and substances such as certain drugs, poisons, and chemicals. How can we tell our dogs are suffering from liver failure? Read this page to learn more about the symptoms of liver failure in dogs. 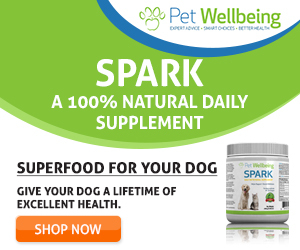 The liver performs a lot of important and vital functions, and the health of a dog depends a lot on the health of the liver. 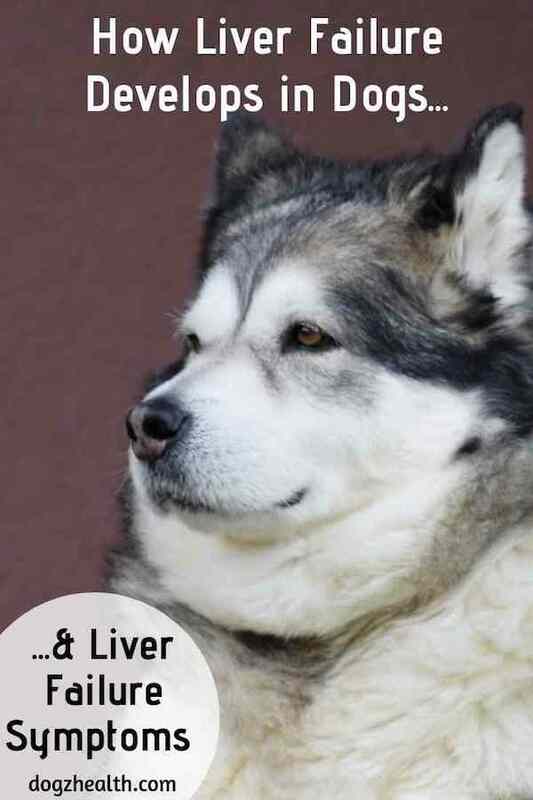 There are a lot of causes of liver problems and the eventual liver failure in dogs. Some such causes can be avoided if we take enough precautions. It is therefore important to learn about and be mindful of the causes. It is equally important to learn about the signs and symptoms of canine liver failure. As you can see from our page on canine liver problems, the early signs and symptoms of liver problems in dogs are non-specific. If your dog shows the symptoms listed on that page, you should waste no time and take him to the vet for a proper diagnosis. If any liver problem is not treated in a timely manner, the liver will deteriorate further and the terminal stage is liver failure. Below describes the development and the main symptoms of liver failure in dogs. Canine liver disease have four stages. The first stage is inflammation. 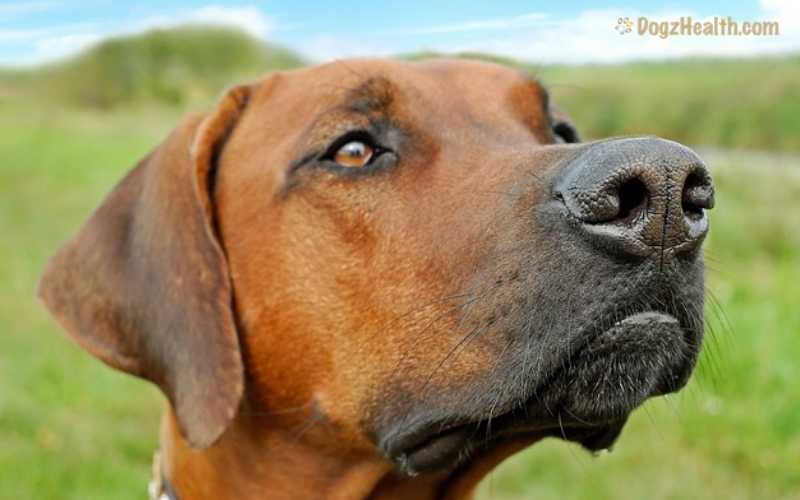 Normally, a dog with an inflamed liver has no pain and shows very few symptoms, if at all. If the dog can receive treatment at this early stage of liver disease, he will be able to recover. The problem is, since most dogs show no or few symptoms, the likelihood of getting treatment is very slim. If the dog with an inflamed liver receives no treatment, the liver disease will progress to the next stage, which is fibrosis. In this stage, liver cells start to die off, resulting in liver scarring. If there are scar tissues in the liver, blood cannot flow smoothly through the organ. If blood cannot flow through the liver smoothly, it means that the liver cannot detoxify the blood efficiently. Many dogs with fibrosis still don’t show many symptoms. But if a vet takes a blood sample for analysis, he will notice some abnormalities in the blood work. Treatment at this stage can still bring about recovery. If a dog with fibrosis receives no treatment, the liver continues to form scar tissues and start to harden further. Dogs with cirrhosis will start to show symptoms since about 75 to 80 percent of the liver is irreversibly damaged. As the damage is irreversible, it means that treatment at this late stage can no longer heal the liver. Treatment can only stop or delay further deterioration. Liver failure is the final stage of liver disease. About 80 percent of the liver cells will have died. Basically, the dog’s liver at this stage is not functioning. As such, the dog will definitely show more serious symptoms. Treatment at this point is mainly palliative. One of the liver’s functions is the production of bile. A dog with impaired liver function will have bile accumulation in the blood and tissues, resulting in jaundice. There is an yellowish appearance in his eyes, the inside of his ears, and in the mucous membranes of the tongue and the gums. The urine is dark brown in color. If a dog is suffering from liver failure, the liver cannot remove ammonia effectively from the blood. This causes toxin build-up, which adversely affects brain function, resulting in a brain disorder called hepatic encephalopathy. A third major symptom of canine liver failure is fluid accumulation in the abdomen (ascites). The dog looks bloated and could be mistaken for sudden weight gain. This condition is caused by low serum proteins and increased pressure in the veins that supply the liver. Without treatment, ascites will cause difficulty breathing as it puts pressure on the diaphragm. A dog suffering from liver failure may have spontaneous bleeding in the gums, stomach, intestines, and urinary tract. As a result, you will find blood in the dog’s urine, stools, or vomitus. Now that you know the stages of liver disease and the symptoms of canine liver failure, be sure to visit this page to see how liver problems in dogs are being treated.